Robust and easy to drive, our range of medium size vans have the loading space to transport most bulky items. Available for use by both businesses and private individuals, these vans can adapt to suit whatever the customer requires. As with all our commercial vehicles, anybody who wants to drive a medium size van must be aged 25 years or over and hold, at least, a standard driving licence. 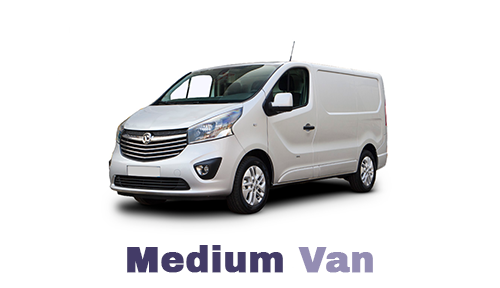 To hire a medium van in Birmingham with us please call 0121 330 0812 or use our online booking facility. Our selection of medium vans are built by a number of vehicle manufacturers so we aren't always able to guarantee exact dimensions or specifications. If you have a specific request we recommend that you call us on 0121 330 0812 or use our contact form to speak with us before making a booking.